If you thought Hillary Clinton’s loss to Donald Trump in the presidential election, which effectively ended her political career, might convince House Republicans to take it down a notch over the whole email fiasco…well, then you don’t have a very good handle on House Republicans. 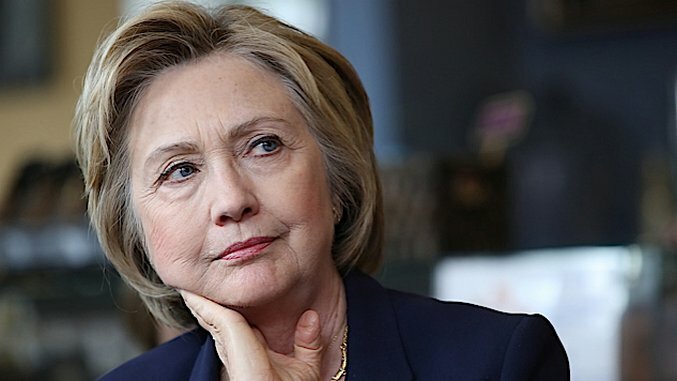 Smith (R-Texas) made the request Thursday for a criminal contempt of Congress prosecution against Platte River Networks CEO Treve Suazo for allegedly failing to turn over documents relating to the firm’s storage of Clinton’s emails after she left the State Department. Smith also sent a 15-page letter to Jeff Sessions, hoping to drum up obstruction of justice and false statement charges. The gist of the GOP’s interest in Platte River stems from their attempts to undercover information about security measures and potential hacks into Clinton’s email. Platte River refused to comply with any congressional requests for information, which has led Republicans to claiming coordination with the Clinton campaign. The move surprised many Democrats, who thought the Smith and the rest of the House GOP had given up on prosecuting the email scandal. But that’s silly—for a group of people so obsessed with hating Clintons, why would change their entire modus operandi simply because there are no Clintons around anymore?